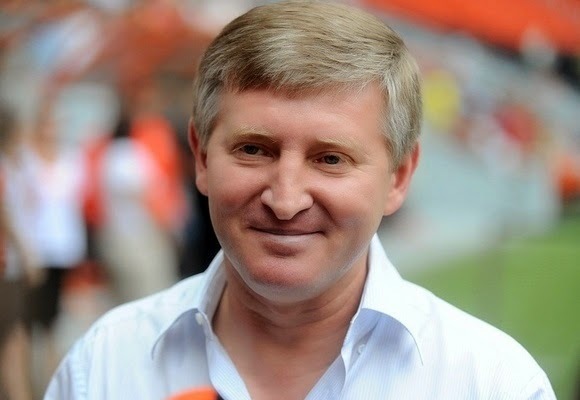 Powerful Muslim Crimean Tatar, Rinat Akhmetov, the richest man in Ukraine, is a self-made billionaire son of a coal miner. He may hold the balance of power in Eastern Ukraine's tensest standoff since the Cold War. Before the Russians moved in and took control of the Crimea earlier this year, thousands of Akhmetov's fellow Tatar Muslims had marched in opposition to the Russian take-over of the region. In 1917 communist takeover of Russia, Tatar Muslims were one-third of south eastern Ukrainian population. Then in 1944, Joseph Stalin accused them of collaborating with Nazi Germany and ordered their mass deportations. Nearly 200,000 Crimean Tatars were sent to Central Asia by freight trains. Nearly half of all Crimean Muslims died in 1944–1945 from hunger and disease. Their property and territory were given to mostly ethnic Russians who were resettled by the Soviet Union in Crimea. Akhmetov's decision to support Ukraine's unity may turn the tide against the pro-Russia separatists in the Ukrainian conflict He has ordered thousands of his steelworkers on Thursday to restore order and establish control over the streets of Mariupol. They now appear to have routed the pro-Kremlin militants who had seized control of important government buildings several weeks ago. By late Thursday, Akmetov's miners and steelworkers had deployed in at least five cities, including the regional capital, Donetsk, though they had not yet become the dominant force there that they are in Mariupol, the region’s second largest city and the site just last week of bloody confrontations between Ukrainian troops and pro-Russian militants, according to The Globe and Mail. Whatever Akhtemov's motivations may be, let's hope he can pull off what the US, Europe, NATO and the government in Kiev have failed to do so far. Let's hope peace returns to Ukraine soon. Russian singer Emin Agalarov speaks onstage with his father Aras Agalarov during a news conference after Brady won the Miss USA 2013 pageant on June 16, 2013, in Las Vegas. Moscow's official population is based on its residents with "permanent residency." It's believed there are an additional 1.8 million official "guests" on temporary residency through visas or documentation. Those without documentation, mostly from Central Asia, are believed to add another 1 million people. The predominant religion is Christianity, with the Russian Orthodox Church being the most popular, as Moscow is the capital of Orthodox Christianity in the country, and a part of Russia's historical heritage in a law passed 16 years ago. Muslims, meanwhile, account for 14% of the city's population.